Two years ago, I started a round table gathering for the largest children's ministries in the country. We get in a room for two days and simply talk about what's going on in our ministries, issues and challenges we are facing, trends we see, what is working well, new ideas, etc. I always type up notes from the meeting and thought I'd share some of it with you. 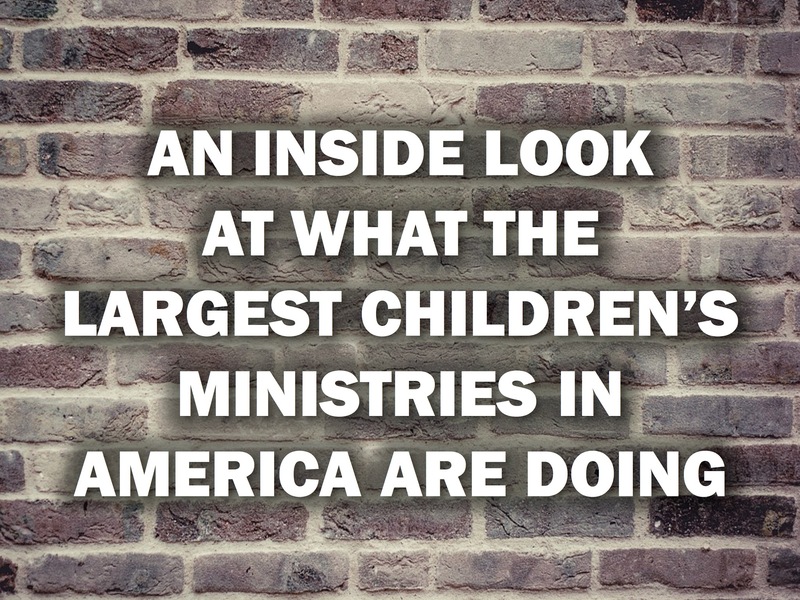 Here's an inside look at what some of these children's ministry leaders are doing and saying. Children's ministry is so important that Jesus talked about it. Many times children's ministry leaders feel isolated because people don't understand what they are doing. When your church is multi-site, it is challenging. Campuses are messy, personalities are different and you have different leadership styles. You must have clear guidelines and structure. A successful weekend in children's ministry doesn't just happen. Have campuses send you a "hit and miss" list each week from their services. Campus pastors are responsible for staff health at their campus. Central team must hold children's ministries at campuses accountable to visions, values, culture, etc. Hiring is done together by central and campus team for children's ministry roles. Ask for a "snapshot" report from each campus after each weekend. Central team calls the plays, campus team runs the plays. All of the Central team goes to help launch new campuses. Protect your church. When something happens, it won't be your name in the news, it will be the pastor's and church's name. Some start check-in 20 minutes before service. Others start it 15 minutes before service. Have a volunteer in every area who trains new volunteers with on-the-job mentoring. Have a different color of name tag or sticker for first-time guests, so you can give them lots of love and attention. Have team jerseys that volunteers put on over their regular shirt each week. Jerseys stay at church and are washed each week. Be intentional about giving student leaders lots of opportunities to serve. Have volunteers working to replace themselves. Key to longevity in ministry is re-inventing yourself. The hardest re-invention is internally. A big part of empowerment is overcoming your own insecurities. People will only be empowered to the degree you empower them. They will only trust you as you trust them. Are you willing to be the weakest link? Are you willing to have people around you who are stronger than you? Occasionally have a staff meeting during weekend services to make sure staff is doing a good job of replacing themselves. As the leader, don't feel guilty about not being as busy as everyone else during the weekend. You have to be up in the air to have a clear head and make good decisions. The brightest part of your city is sitting in your rooms each weekend. Give guests a glow necklace - people will know to give them extra love and attention.